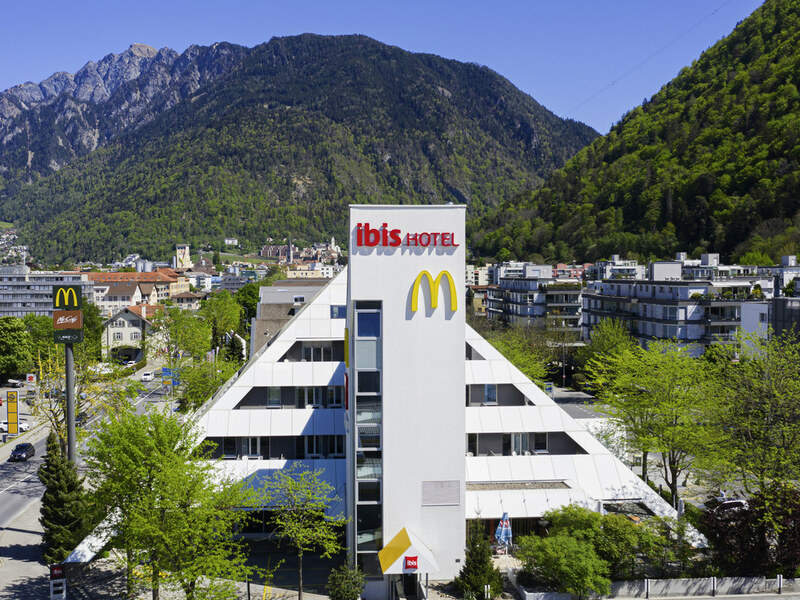 Our affordable ibis Chur hotel is located near the A13 highway and the main routes to St. Moritz and Lugano, which also take you to the region's skiing areas of Flims, Laax, Valera and Arosa. Chur is the ideal starting point for your journey. The hotel has 57 modern rooms with parking and free WIFI access. The bar with terrace and the snack service are available 24 hours a day.